Located just south of Ottawa, the Nation Valley ATV Club is an incorporated body that represents the interests ofATV enthusiasts in District 1 of Eastern Ontario, with trails in North Dundas. 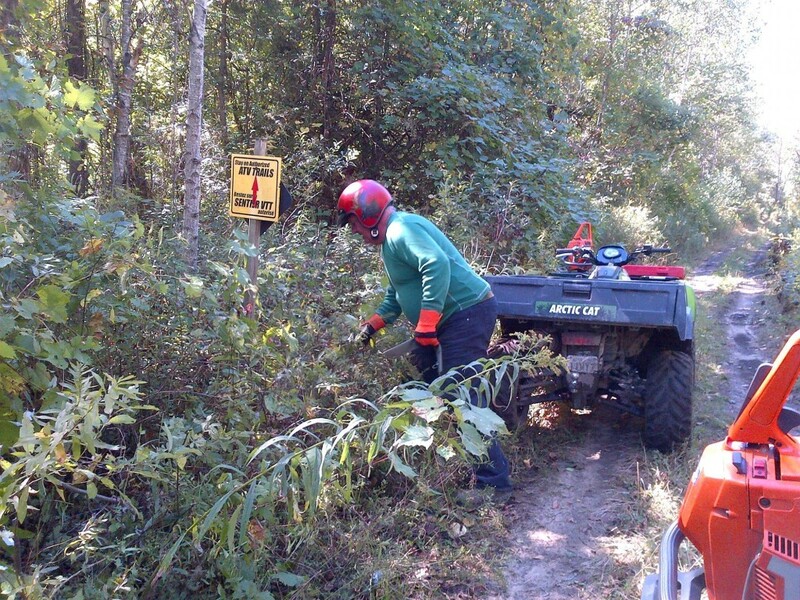 Offering over a hundred kilometres of mixed trails, the club is a welcome place for ATV’ers of all experience levels. Traversing thick wooded fence rows, new-growth forests, creek-side and along farmland, the trails are varied and spectacular. With the cooler temperatures creeping up on us, it means a special time for the ATV clubs across the province of Ontario. While many people are putting their ATV’s away for the Winter and getting the moth balls off of their snowmobiles, clubs in Ontario are preparing their trails and ATV’s for winter grooming and riding. A slightly different dynamic than the wider, straighter snowmobile trails, ATV trails are generally 6-10 feet wide, in twisty dense bush, where large groomers cannot fit. 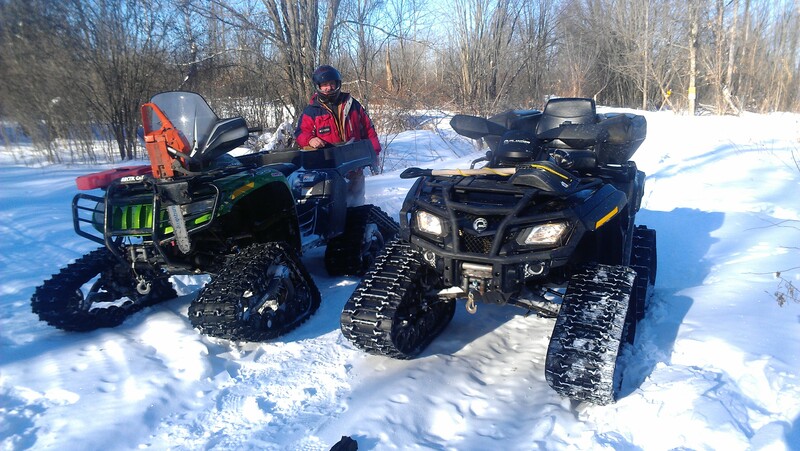 The ATV trails are groomed with Arctic Cat 700 cc TBX ATV’s (equipped with tracks), towing grooming drags. 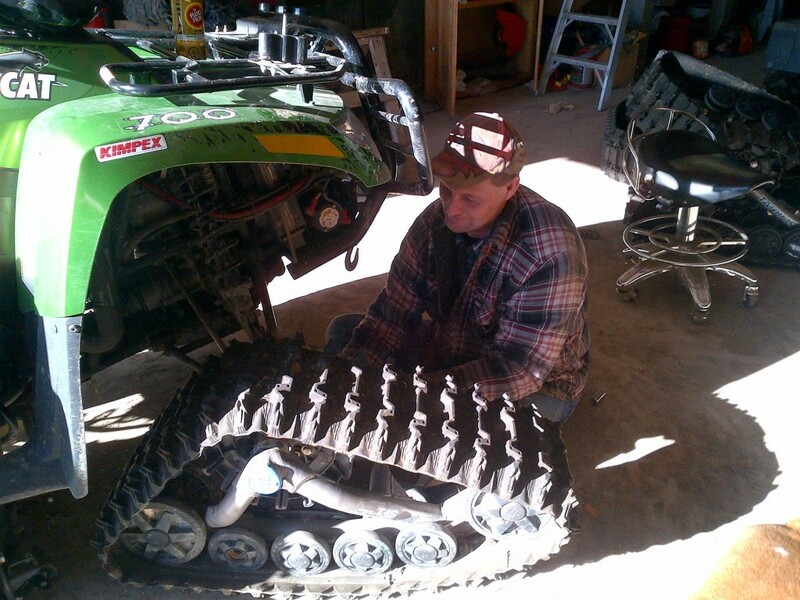 This is a heavy burden on the ATV’s, so they go for their Winter maintenance, to ensure they are in top-notch condition, and the tracks are installed. The drags are gone over to ensure they are ready for action, that winches are working, no welds are bent or damaged. Volunteers hit the trails to fix any last minute hazards that will soon be hidden by a blanket of snow (stumps, debris, and overhanging branches). 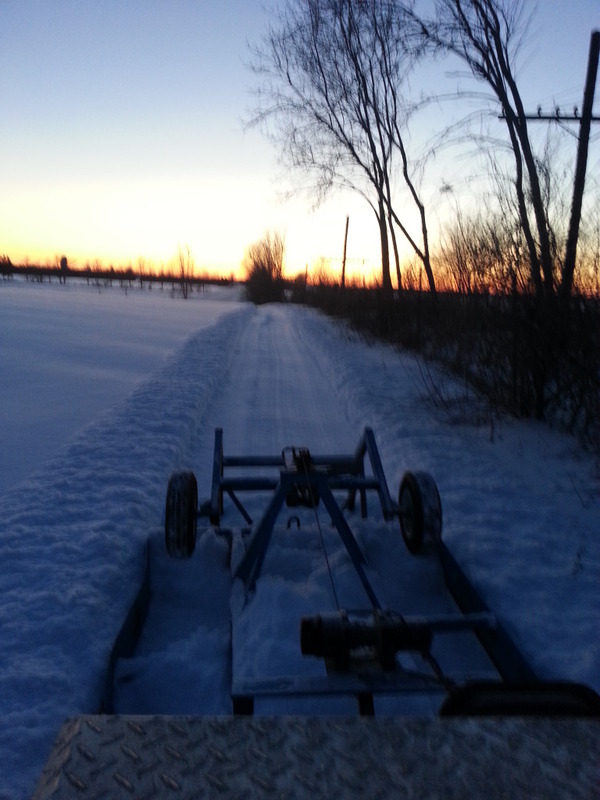 Volunteers look at the trails in a whole new light, as the grooming is done by ATV’s with tracks on them. The tracks raise the ATV by about 12”, plus being on packed down snow, you are raised even further. Overhanging branches must be looked at with more scrutiny as to where they will be when the snow hits, as they will be lower as well when laden with snow and ice. 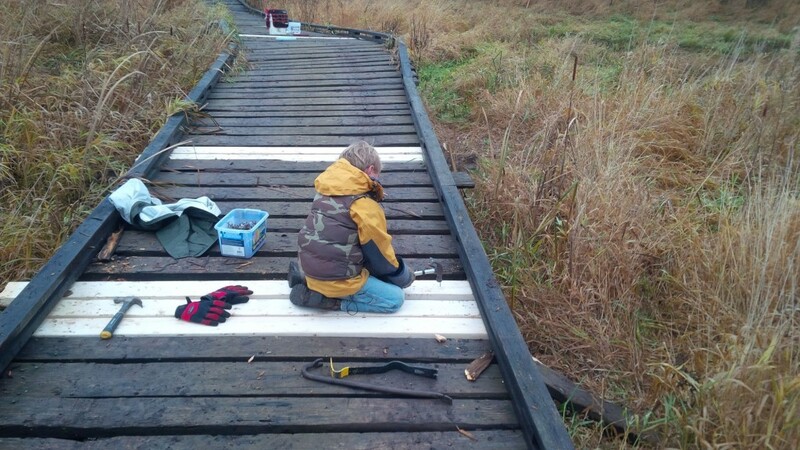 Loose and missing boards are repaired on bridges, so groomers do not catch on them. 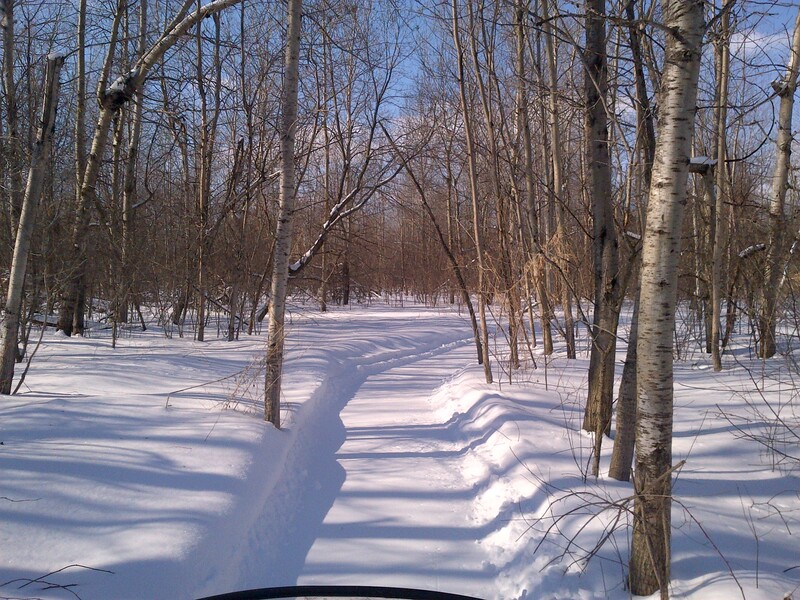 A lot of work goes on behind the scenes in ensuring the trails are groomed and in fabulous condition through the Winter months, but anyone who has rode the ATV trails in the Winter time can attest, it is worth it.